Third Tuesday of each month at 7p.m. 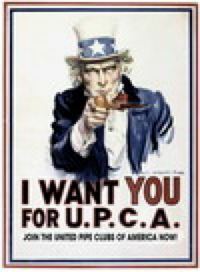 The club hosts the UPCA Michigan Regional Pipe Smoking Contest. Founded in 1948. We publish a monthly Newsletter for paid members. More information at our web site and you can find us on Facebook.